Posole! Remember the Christmas run in Pecos? I made posole yesterday. This is after we ate half of it. It may not look like much, but dish it out, throw a little red chile in and serve with a few corn chips, and it is a great New Mexican holiday tradition come alive! 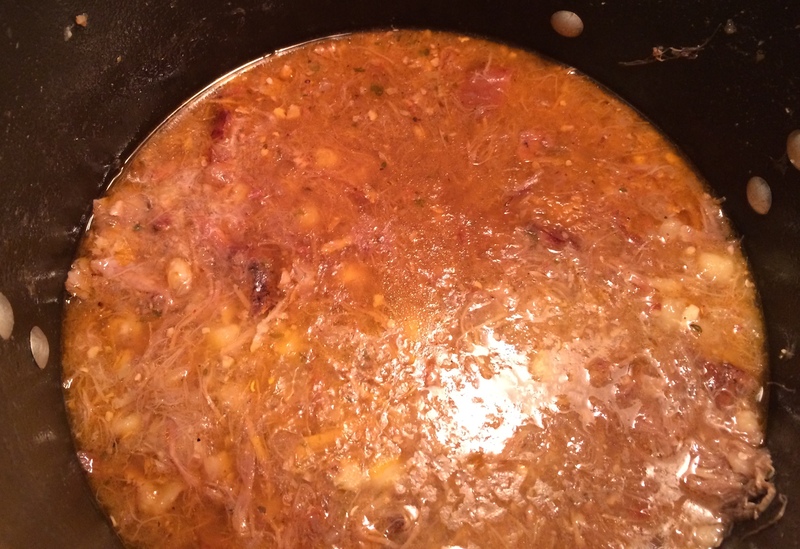 I cheated in that I used some pulled pork and canned hominy, but it was still very good. I am re-posting the below post from earlier this year. I used the easier (2nd) recipe from the post. Enjoy and have a great holiday season! Click below to see the earlier post and recipes. Perhaps the finest locomotive paint scheme ever devised? The first use of railroads in the United States, may have preceded the United States. Some contend the first railroad in what would become the United States was in 1762 when British military engineers constructed a gravity railroad at the Niagara Portage in Lewiston, NY. Beginning in the early 1800s, rail became an important part of the transportation scene in America. Over the years, many methods have been used to create corporate identities. Since the mid-1950s, railroads have commonly deployed colorful paint schemes on locomotives and rolling stock to foster a brand. 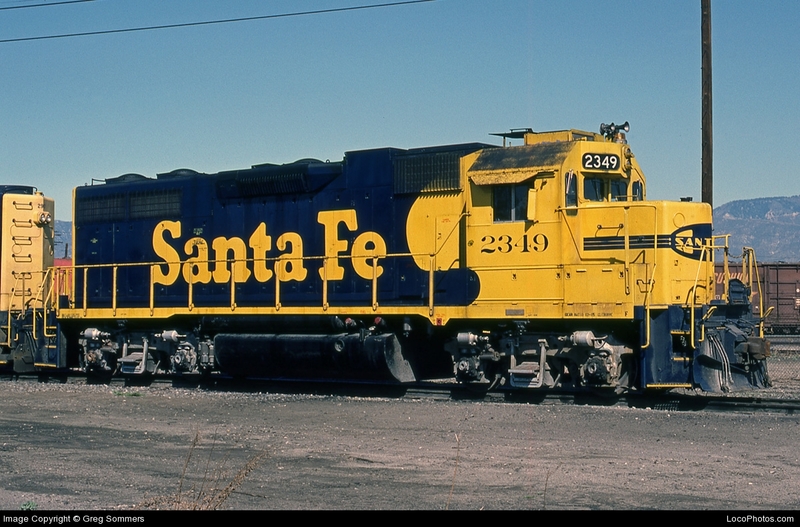 There have been many classic, attractive schemes employed, such as Santa Fe’s warbonnets (both red and silver and blue and yellow) and Union Pacific’s. The competition is tight, but perhaps my favorite all-time locomotive paint scheme was the one used by the Denver and Rio Grande Railroad beginning about 1969. 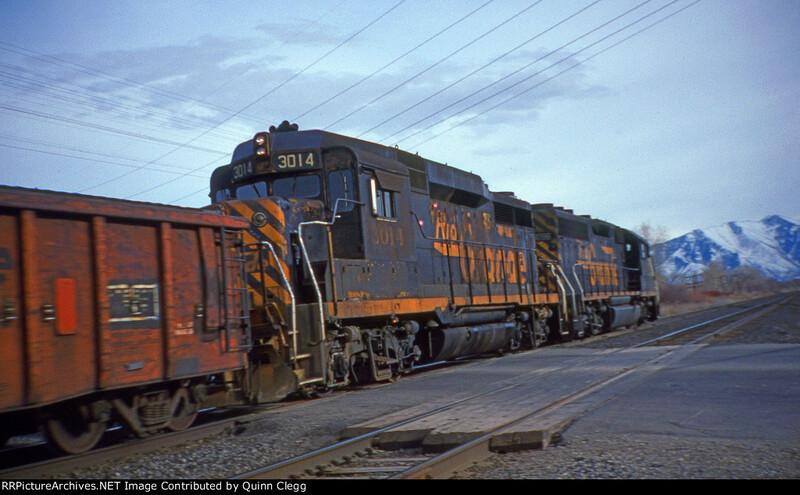 The DRGW must have liked it too–it was the principal scheme from 1969 to the date it merged into the Union Pacific in 1996, by way of its merger with the Southern Pacific in 1988. As a result, it was the principal paint scheme for almost 30 years. 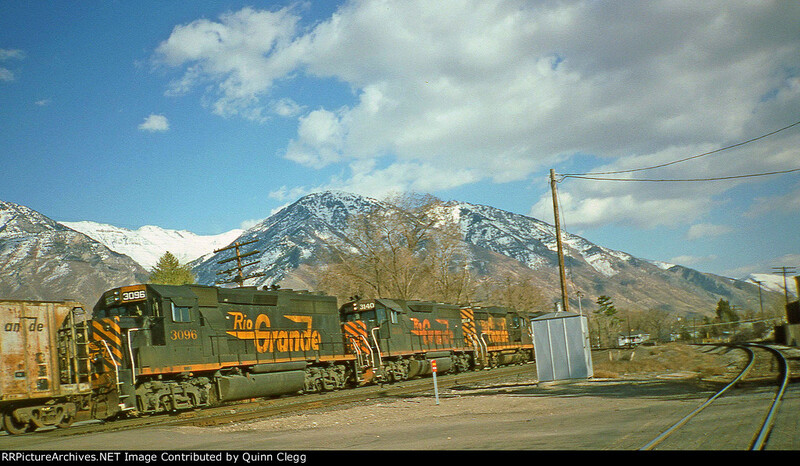 Rio Grande 3096 at Backman’s Crossing near Provo,UT in Early Spring 1994. –photo by Quinn Clegg. Back in the early to mid 1990’s well into the SP era, it was still possible to catch pure sets of Rio Grande power on Southern Pacific trains. The DRGW continued to use this scheme pretty much throughout the SP era. 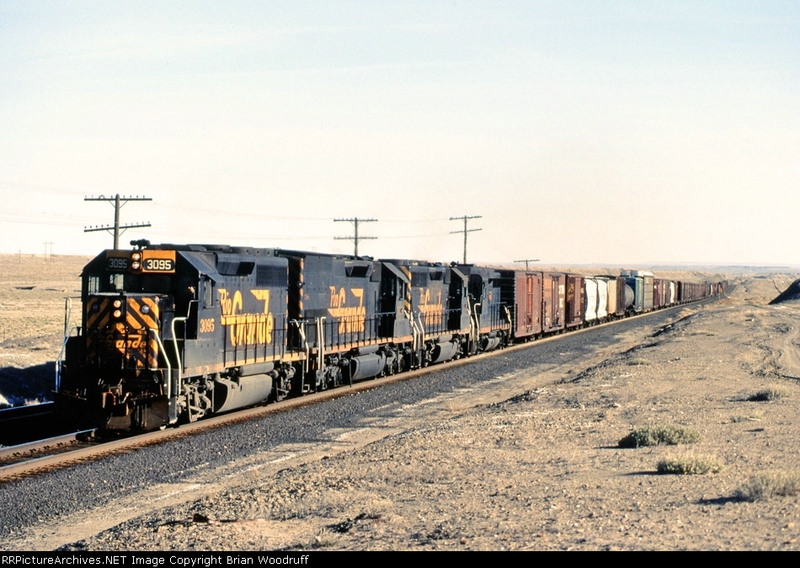 DRGW 3095 at Desert, UT on Apr 1 1988. ©photo by Mike Woodruff courtesy of RR Picture Archives. What a great scheme. Of course, it didn’t hurt that the DRGW operated in some of the most beautiful parts of the United States. I really like the above picture. In a sense, Quinn Clegg has captured the essence of the DRGW–attractive trains passing through often lonely but beautiful scenery. The DRGW also had great schemes applied to their rolling stock, but that may be the subject of a future post.